Van Persie grabbed two goals, including a stunning diving header, as 2010's losing finalists ran riot over the Spaniards. 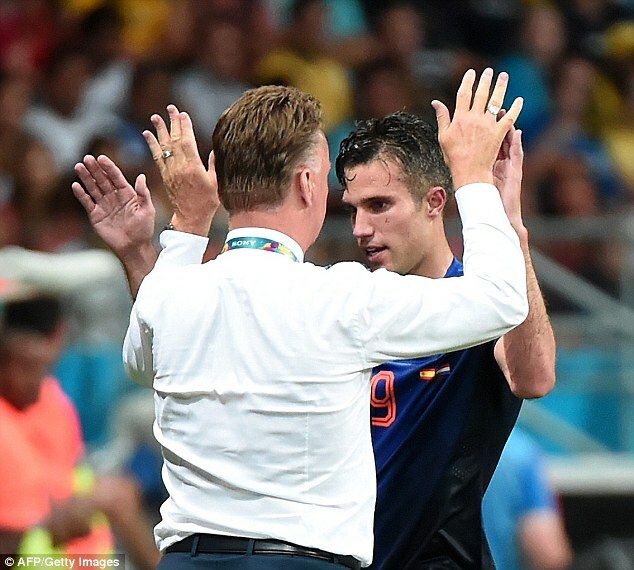 Few could see beyond Spain before kick off with their brilliant defensive record and back-to-back tournament wins providing formidable opposition, but Van Gaal's Holland ripped them apart in a stunning 5-1 win. The Manchester United striker, who is set to continue under Van Gaal when he takes over at Old Trafford after the World Cup, was eager to share in some mutual back-slapping with Van Gaal, giving him the lion’s share of the credit for the result. 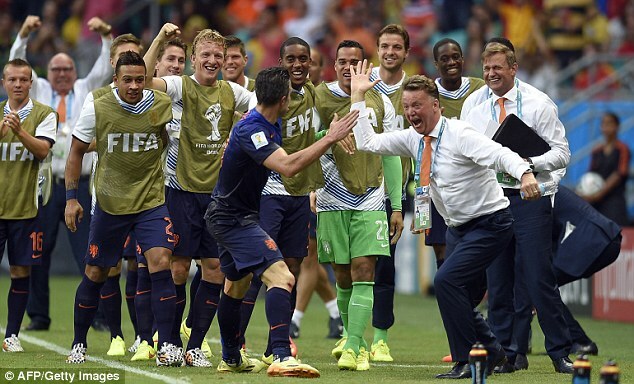 'This is incredible and inexplicable,' Van Persie told Voetbal International. 'For us, this is a dream come true and we have to enjoy it - everyone in Holland must too. In winning 5-1, Holland inflicted Spain's worst defeat in 51 years and Van Gaal's side produced a result that nobody could have expected, with some bookmakers pricing a 5-1 win at 500/1 pre-match.